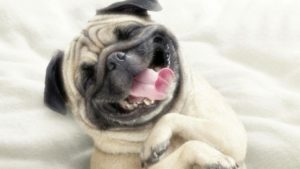 Fleas, ticks and mosquitoes are a nuisance for pet owners, and an even bigger bother for the animals they attack. Fleas, ticks and mosquitoes not only bite, causing skin irritation, but they also can carry disease. Let’s look at the different methods to prevent these tiny pests. 1. 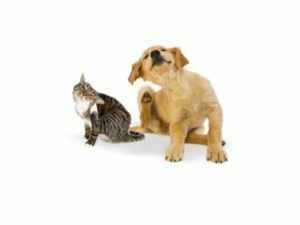 ORAL MEDICATIONS: these are a way to protect your pets’ entire body from being bitten by fleas and ticks. Make sure to check with your veterinarian about what brands are the safest and most effective. Some medications are solely for ticks, while others are just for fleas. 2. SPOT-ON TREATMENTS: these are your conventional flea and tick medications. They are generally applied at the base of the pet’s neck and in intervals along the spine. They usually need to be reapplied monthly, and are noted for their ability to prevent these pests hosting on your pet. 3. SPRAYS: This method of application is great because it kills fleas and ticks on contact. However, to be the most effective, these sprays are best used in conjunction with another treatment. Always be sure to read the instructions thoroughly to ensure correct application. 4. FLEA COLLARS: These are used to repel fleas and ticks.Be aware that they are rated to repel fleas and ticks up to 8 months, so replace them when they are rated as no longer effective. 5. MOSQUITO REPELLENT: There are two methods – using a spray application, or a mosquito-repelling bracelet. These are great ways to prevent flea, tick and mosquito bites on your furry friend. We suggest you go the extra mile and prepare your home as well. Here are some methods to reducing contact with fleas, ticks and mosquitoes. 1. LAWN SPRAYS: there are products that you can buy to spray on your lawn. They will kill flea, tick and mosquito larvae as well as other creepy crawlies that might be invading your personal space. 2. CITRONELLA CANDLES and PLANTS: These are natural repellents for mosquitoes. 3. AVOID STANDING WATER: standing water is the ideal habitat for mosquitoes to lay their eggs. Make sure to dump out standing water that might collect after rains. Preventing flea, tick and mosquito bites is the best thing you can do for your dog or cat. It prevents them from being uncomfortable, and from potentially contracting diseases. Be proactive and start today to prevent and protect from fleas, ticks and mosquitoes.